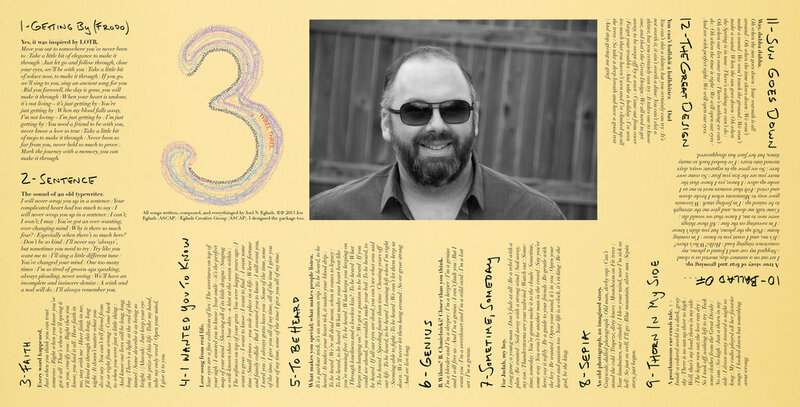 More than any music Joe Eglash has previously made, THREE puts forth a fully-exposed, soulful collection of songs that were inspired by the highs and lows of adult life in our unfocused world. Immense-sounding tracks, packed with sing-along choruses and virtuosically-played instruments are juxtaposed by stripped-down, mellow acoustic statements, all of which provide a highly-memorable, life-affirming listening experience. Opening the album is the Lord of the Rings-inspired Getting By (Frodo), followed by the catchy Sentence, both invigorating and fast-paced. Faith, the third, key track on the album, is the most personal and emotional musical statement Joe Eglash has ever made. These first three tracks will hook you for the remaining nine; and convince you to dig deep into this deep musical world. I Wanted You To Know is not the automatic choice for a single from THREE. Getting By (Frodo), Sentence, or maybe Faith or The Great Designare more radio-friendly. But my wife Kari, my most trusted critic (and also the subject of this song), heard something unique and intangible, as did some other close friends. I guess there are some universal messages in the song. Musically, it's different than anything I've ever done: there are no guitars or bass (!). Also, a necessary shout-out to my soul bro Matt (Evan) Wolkenstein, who sang unison with me on the bridge ("...Some of the time I give you all of my time..."). 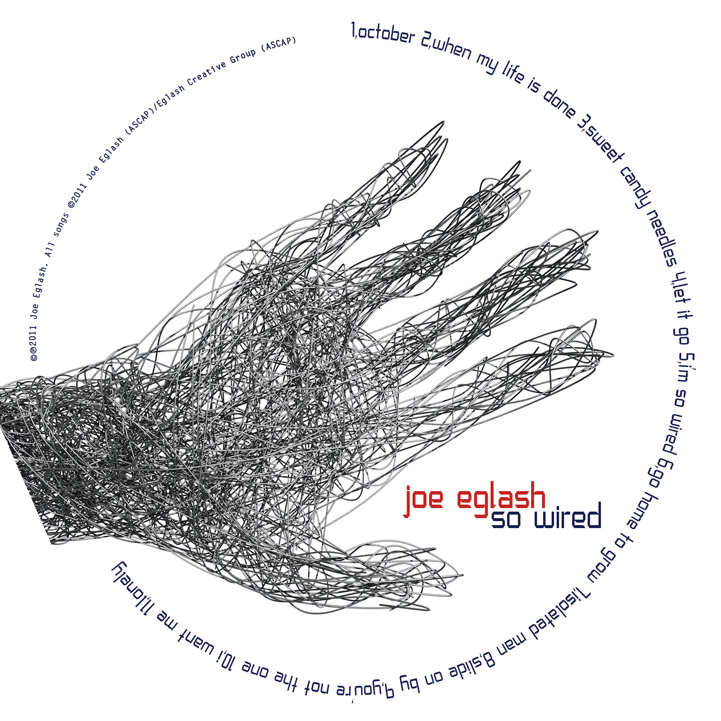 The majesty of U2 and timelessness of the Beatles inform the array of addictive melodies found on Joe Eglash’s powerful sophomore effort, SO WIRED. These focused power-pop songs are heavily layered and meticulously arranged, offering the listener a dreamy escape from daily drudgery. The songs of SO WIRED live at a crossroads of experiential storytelling and self-awareness, in the vein of Randy Newman and Bob Dylan. In his lyric writing, Eglash has created a world of contemporary American character sketches that evoke images of people we know; of personalities with whom we’re familiar. In the tradition of self-contained artists from Paul McCartney to Brendan Benson, Eglash plays every instrument on the album. Original in nature, his music subtly conveys a rooting in classic rock with elements of pop, world, and jazz. From light-spirited tunes like October to the epic I Want Me, Eglash writes a musical love letter to influences ranging from the Stones to the Beach Boys to the Band. When My Life Is Done, the first single from 2011's SO WIRED. I shot this in VideoSongs format - a technique popularized (and maybe started) by indie heroes Pomplamoose, and more specifically, the male half of that group, Jack Conte. If you haven't checked out Jack's solo work and Pomplamoose's catalog, do so immediately! VideoSongs are a way of documenting the recording of a song - sharing an otherwise personal, intense experience with others. It was fun to do, but I have to say that my calling seems to clearly be on the musical, rather than visual, side of things. BUILD A FIRE represents a full circle in the musical life of Joe Eglash - after years working on either side of the music industry. Matured, hook-filled songwriting matched with a one-man-band mentality to produce a landmark, dynamic debut solo recording. The title track has become an anthem of fatherhood and family. 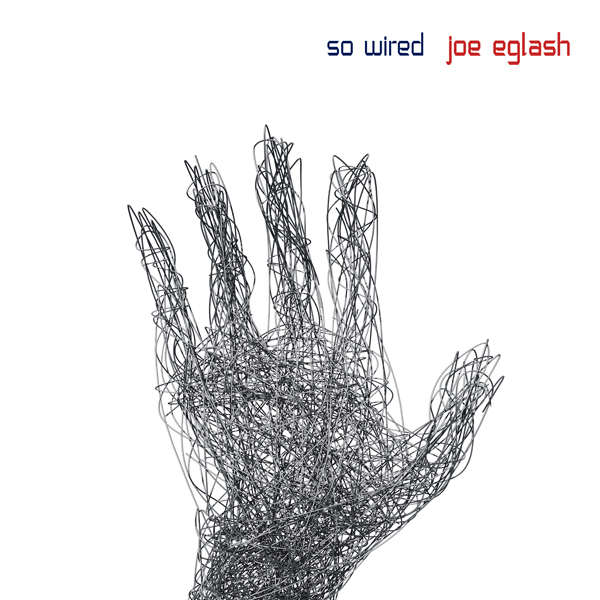 BUILD A FIRE IS JOE EGLASH’S DEBUT SOLO ALbUM. Recorded in 2008-9, BUILD A FIRE boasts live instruments all played by Joe. Recorded in vintage fashion with live takes and Queen-like overdubs, new ground is tread upon with a horizon of hooks, grooves, and harmonies. BUILD A FIRE lies somewhere between the Beatles, the Who, and the Stones, with a well-crafted sheen close to Jellyfish and XTC. KOOL KAT MUSIC "Guitars ring as the chords arc upward; insistent, and arousing drumbeats backdrop Joe's gracefully-soaring vocals. We happen to like it because it's so rich in complex arrangements, is pastoral, emotional and can trigger the imagination. The wealth of his creativity is immediately obvious as the record quotes eloquently from 60's-style British pop, but adds elements of jazz, all produced and layered to perfection. To our ears, Joe plays slightly quirky and intelligent pop with shades of Squeeze and the Beatles. It is an album that feels like a single, organic whole, yet each song is a vital, essential piece. Start to finish, the songs one after another are a delight; continually surprising...this is one fine album that has to be listened to from start to finish and then back again. If you like quirky yet rich and eclectic sound, then this album will not let you down. EXCELLENT!!!" NOT LAME RECORDS "Influences are subtle but point in the direction of where Eglash`s heart and soul lie: XTC, They Might Be Giants, and Jellyfish on a more acoustic bent. His sweet, unaffected folksy acoustic pop combines with crisp and woozily light-hearted but powerful hooks. This is some seriously tasty stuff that manages to break out flairs of originality and extreme competence in the musicianship department ---- and, then, to sew them together making this a fresh and always mightily enjoyable listen." 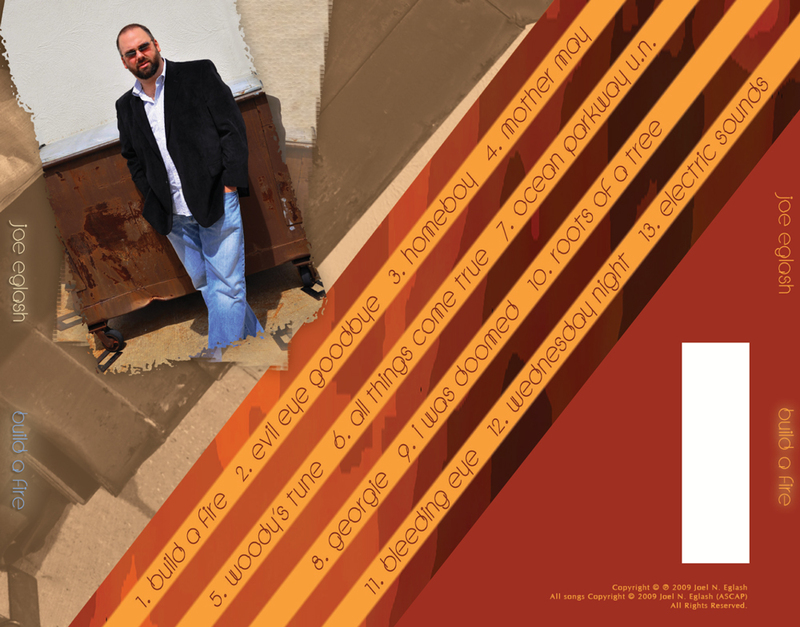 Title track and single from 2009's BUILD A FIRE. Thrilled to share my first music video for the single and title track from BUILD A FIRE. I wrote the song as a message for my daughter (you can see a picture flash quickly at the end of me holding her after her birth in '06) - life lessons from Daddy to Ari. I had the idea to satirize the convention of American parenting, so I dug up some PSAs from the 50's and 60's, spliced 'em up, and tried to tell a story with them. There's some hilarious stuff if you watch closely - it's so stunning what people thought (think?) they should teach their kids.